During her first year at Notre Dame, Elsa Barron was on the lookout for a summer experience that would tie together her interests in science and international affairs. 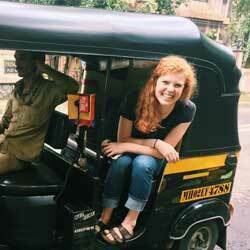 A biology and peace studies double major, Barron, now a sophomore, found what she was looking for in India after becoming Notre Dame’s first undergraduate Bose Scholar. Every spring, St. Jude Children’s Research Hospital hosts the National Graduate Student Symposium (NGSS). The Symposium is held for the nation’s top Ph.D. students to present their work and learn more about St. Jude’s advanced research and facilities, which is located in Memphis, Tenn. This year, among more than 1500 applicants who had to be invited to apply, only 41 were selected. Notre Dame biology graduate student Mark Hawk is among this year’s attendees. In 1996, biological sciences professor Gary Lamberti published the first edition of his textbook to fill a major need in aquatic science. Twenty-one years later, Methods in Stream Ecology, now in its third edition, is up for consideration for a prestigious PROSE Award, an annual accolade that recognizes the best in professional and scholarly publishing. 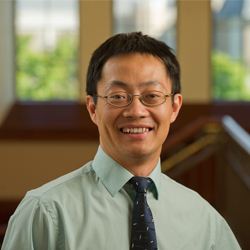 Siyuan Zhang, Nancy Dee Assistant Professor of Cancer Research, Assistant Professor of Biological Sciences and affiliated member of Harper Cancer Research Institute at the University of Notre Dame, recently won a grant from the Indiana Clinical and Translational Sciences Institute (CTSI). Awarded Pilot Funding for Research Use of Core Facilities, Zhang is planning on using his funding to learn more about brain metastasis in cancer patients. The award was designed to promote the use of technologies and knowledge made available by Indiana CTSI-designed cores available at partner institutions.